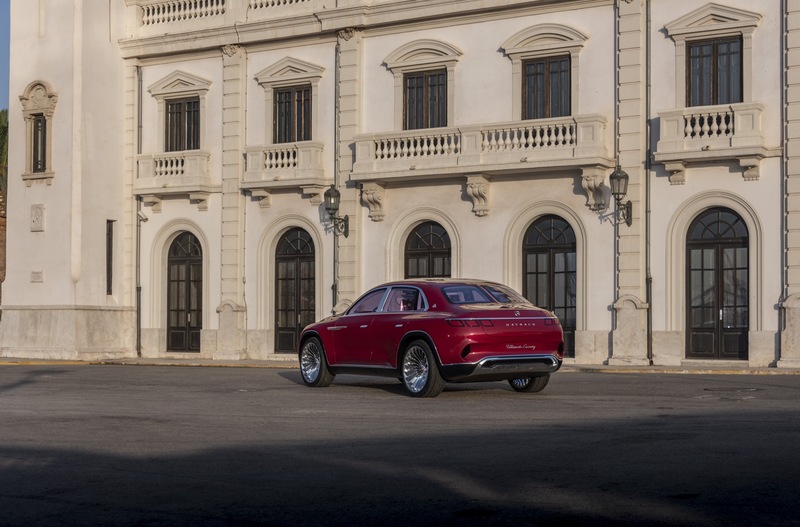 Bentley has the Bentayga, Rolls-Royce will soon have the Cullinan – and Mercedes? 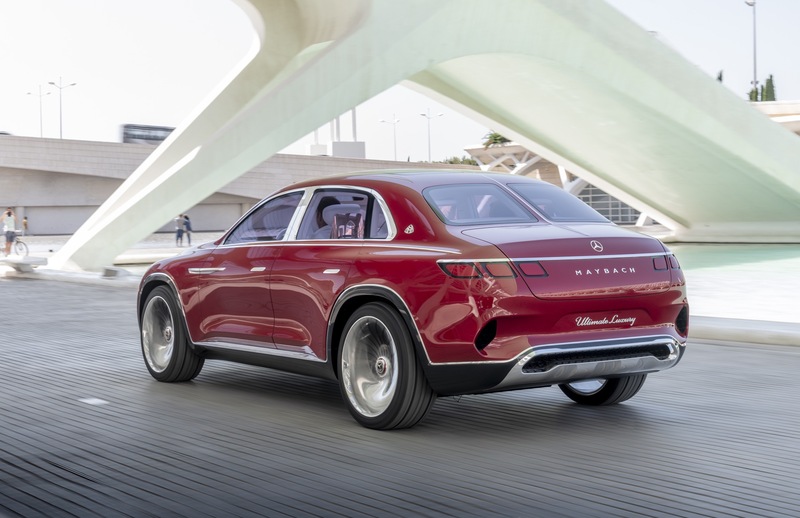 The self-acclaimed world leader of automotive luxury has to live with an oversized GLE that wears the S for no good reason. 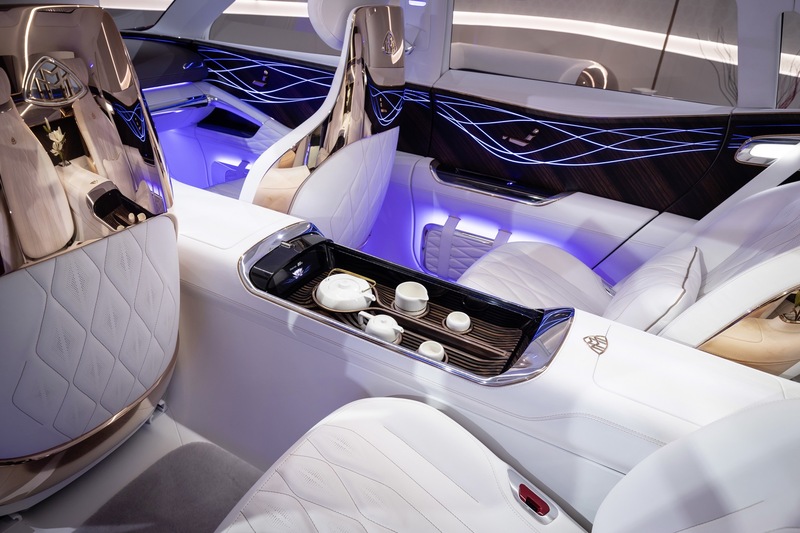 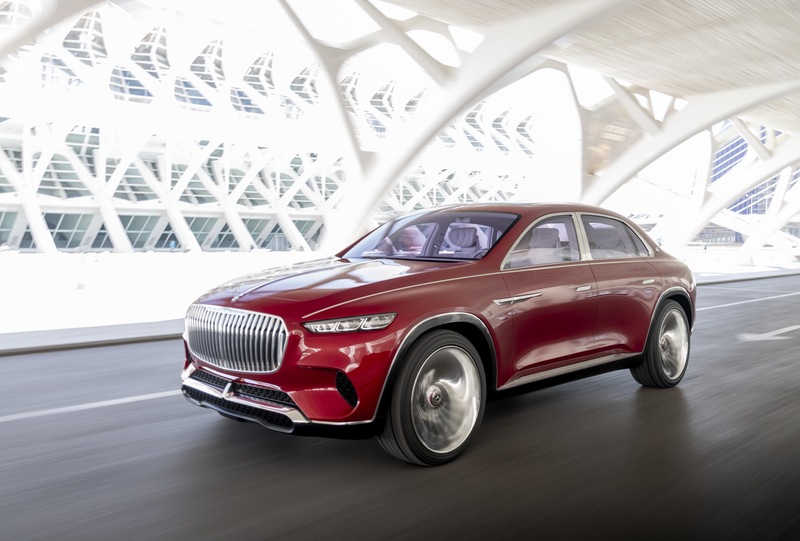 But at least the designers would have some amazing ideas to gain the pole-position in the race for the moist luxurious SUV as they prove with the Vision Mercedes-Maybach Ultimate Luxury. 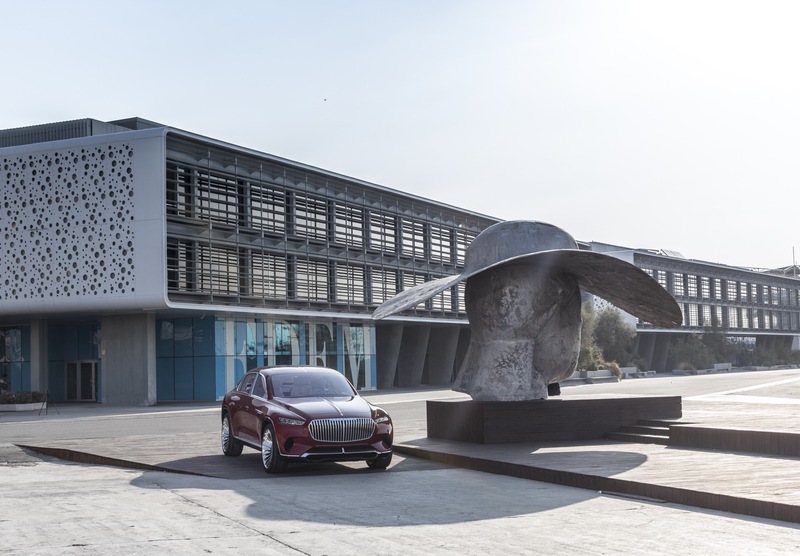 Three month after the world premiere in Beijing we took it for a quick spin before it will end up in the garage of dreams that did not come true. 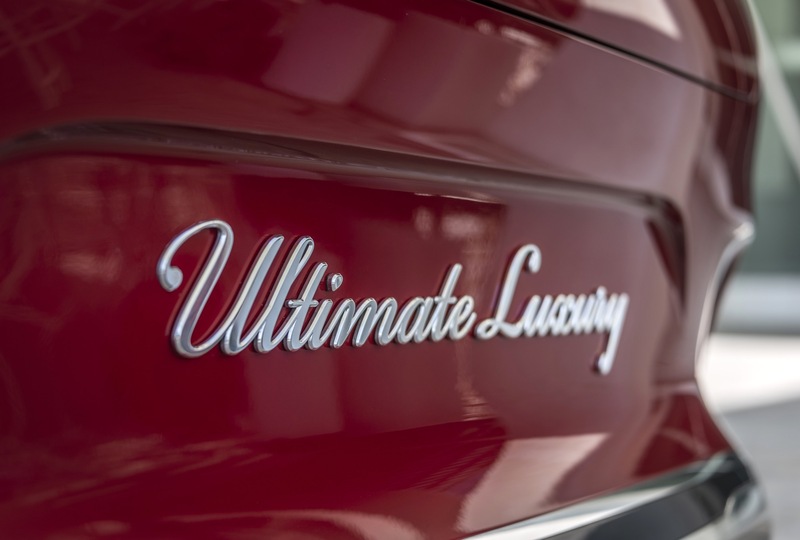 The world of automotive luxury is divided into two halfs – the traditional one in the developed countries stands for ultra refined limousines like a Rolls Royce Phantom or a Bentley Flying Spur. 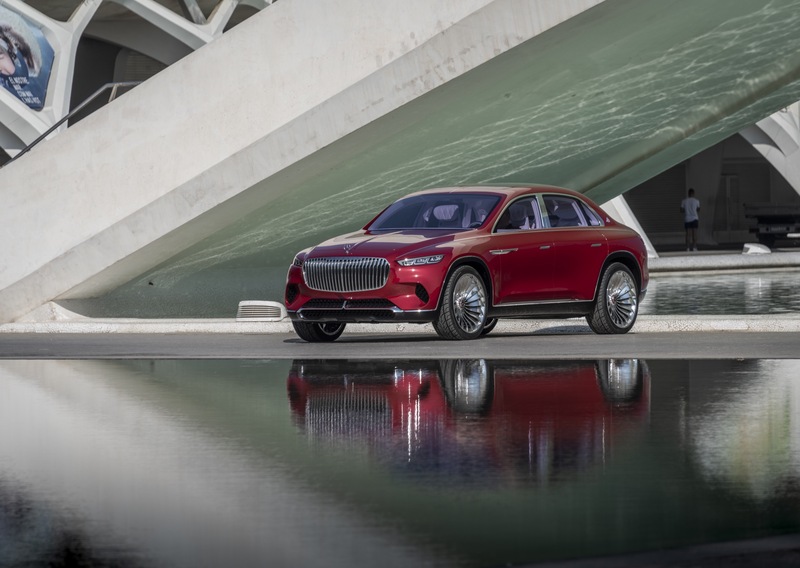 And the modern one in the younger economies stands for luxurious SUV like a Bentley Bentayga, a Lamborghini Urus or the upcoming Rolls-Royce Cullinan. 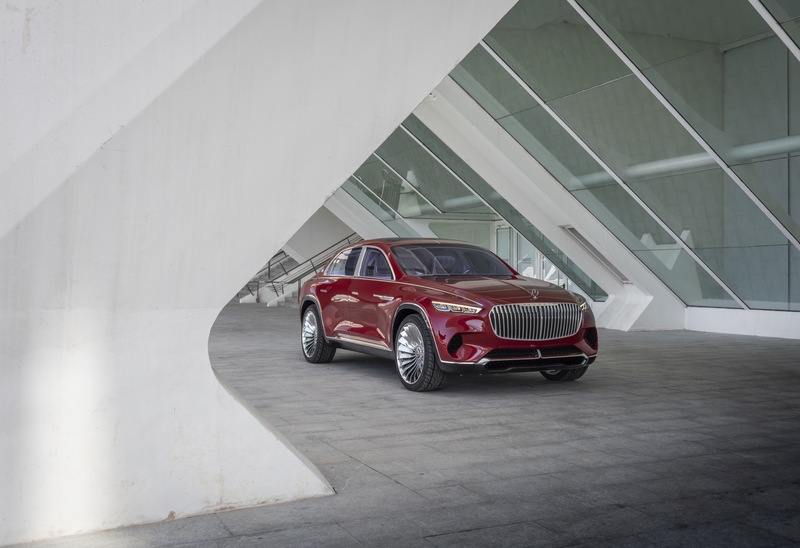 But this segmentation is outdated, says Daimlers Chief Design Officer Gorden Wagener and tries to overcome the old boundaries with a brand new bodystyle: For the first time ever his team combined the bold look and the wide stance of am SUV with the traditional three-box-design of a limousine and since we’re talking about luxury they have added more glizz and glamour as to a Christmas tree. 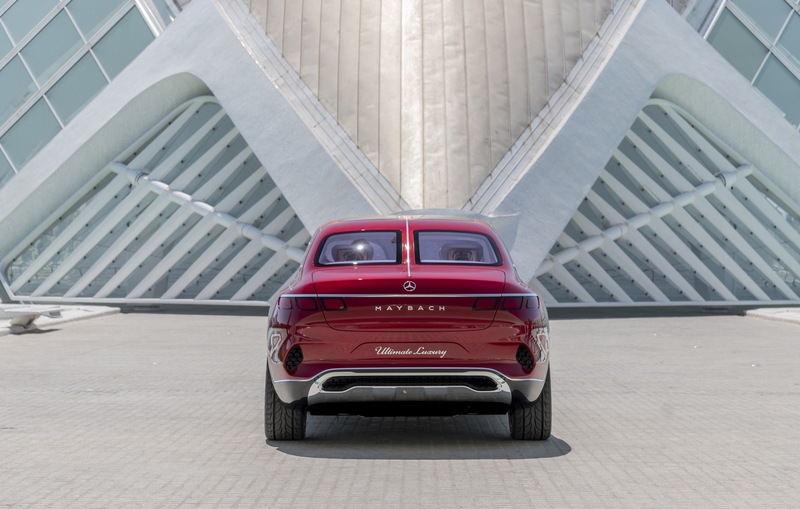 The result is an Sports Utility Sedan of an impressive six meters, that stands on giant 24-Inch-turbine-wheels and catches all the attraction. 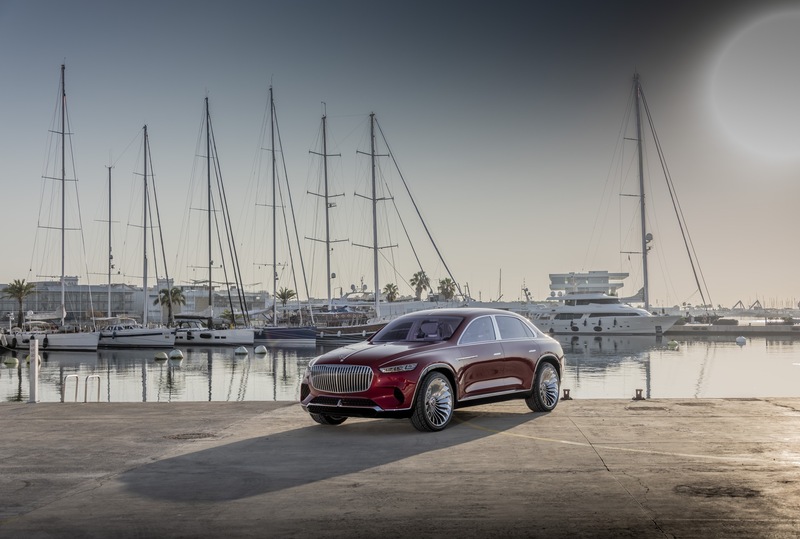 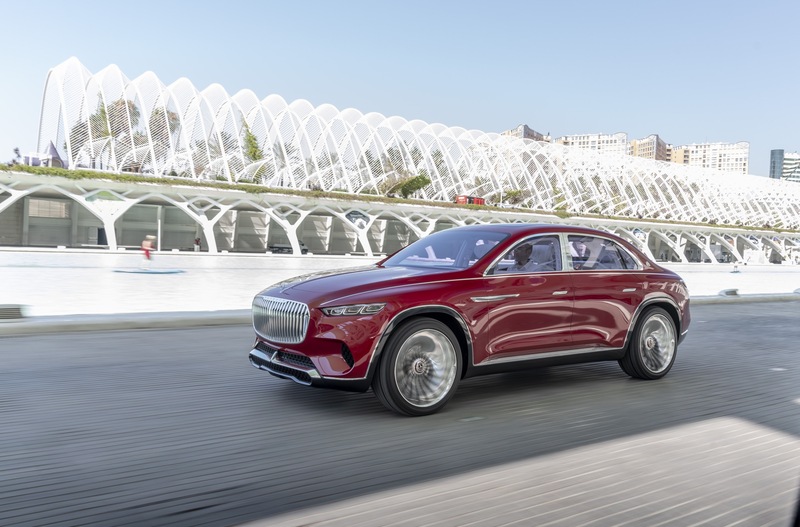 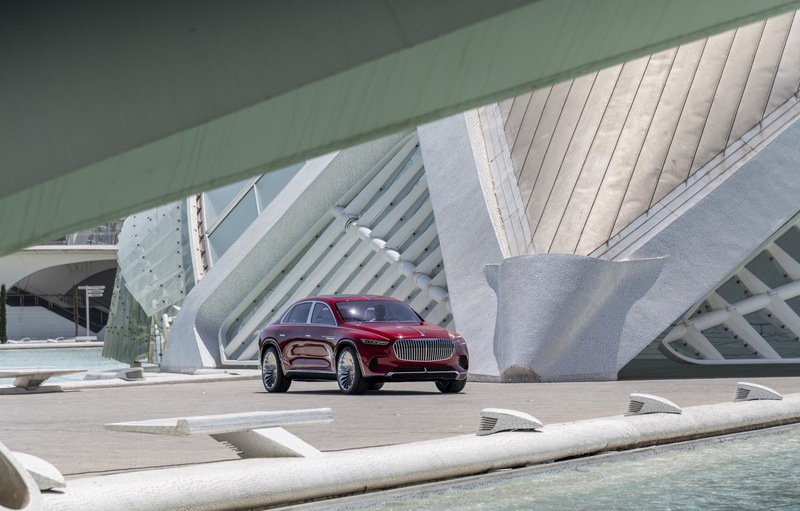 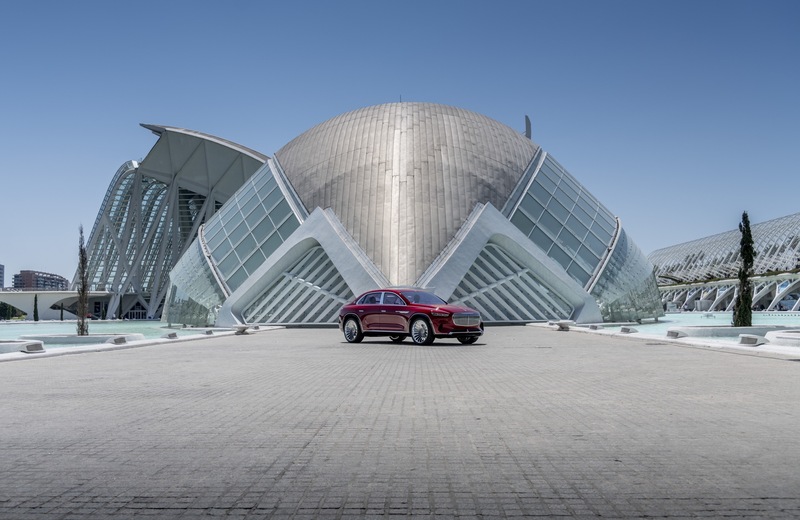 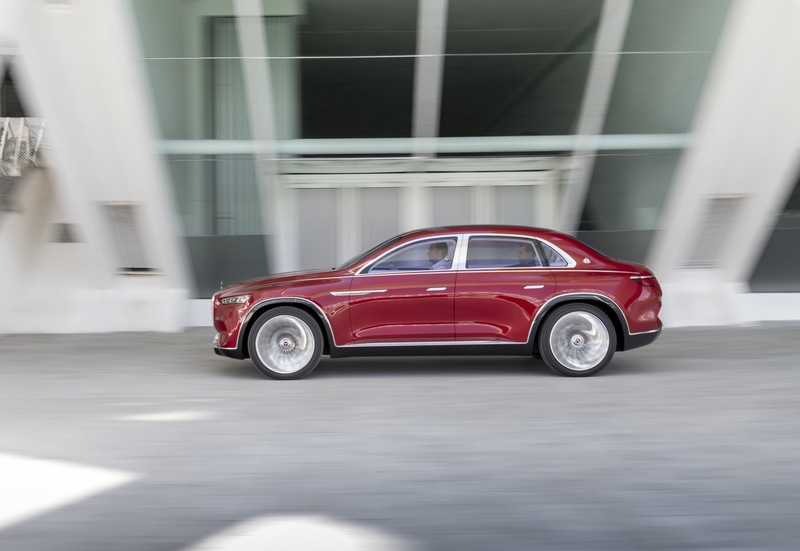 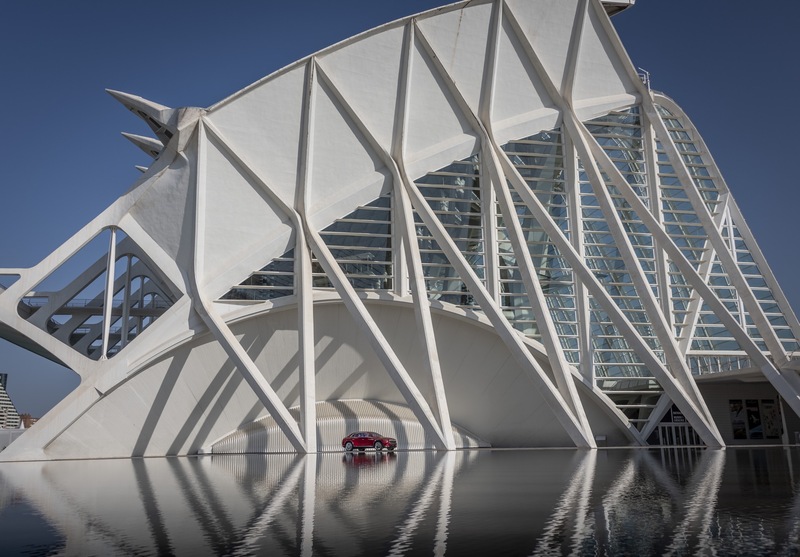 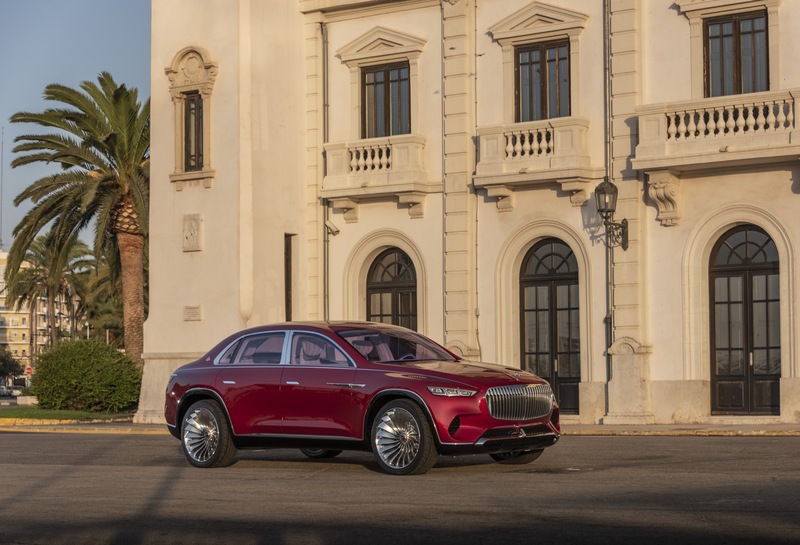 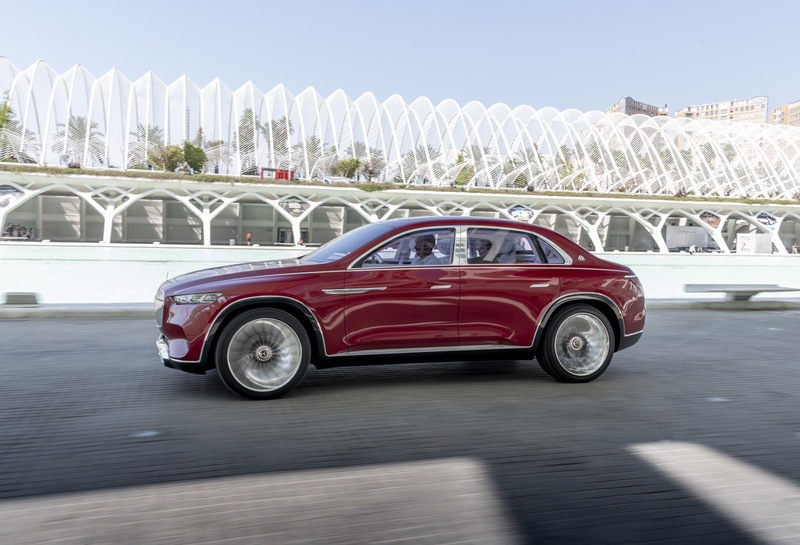 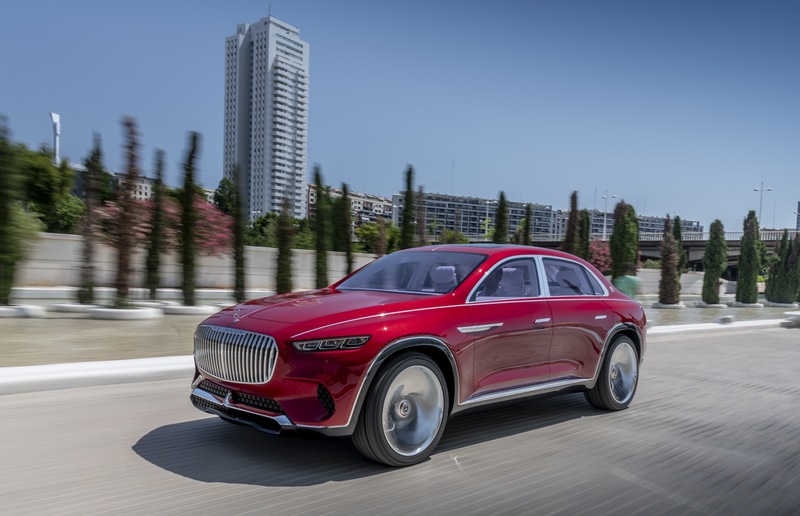 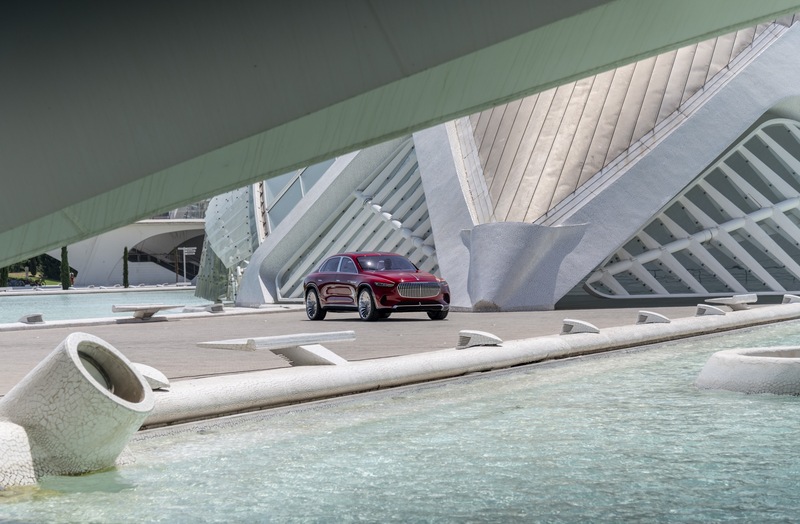 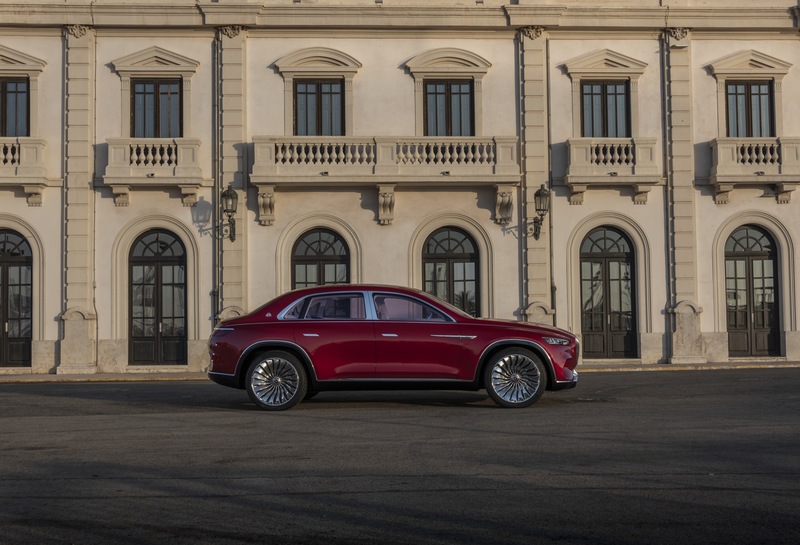 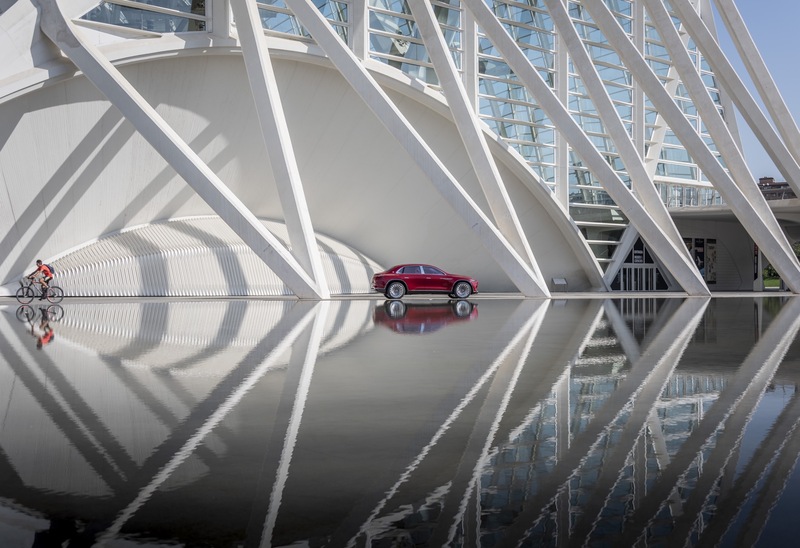 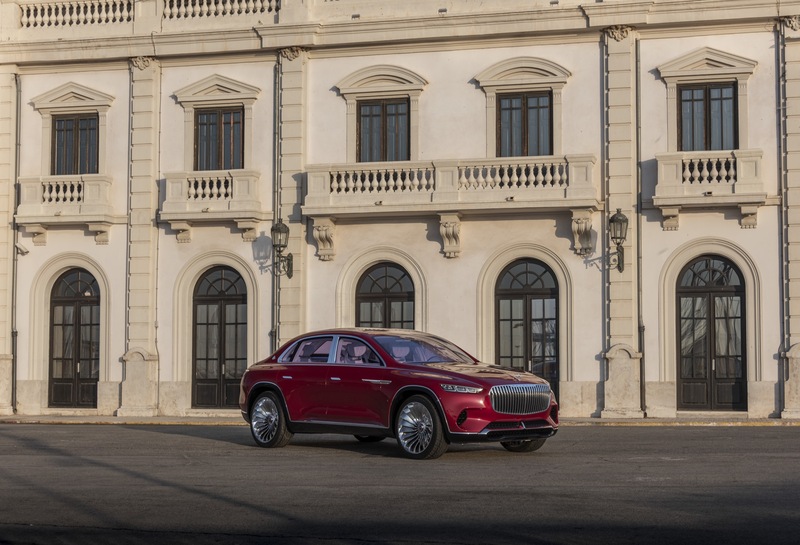 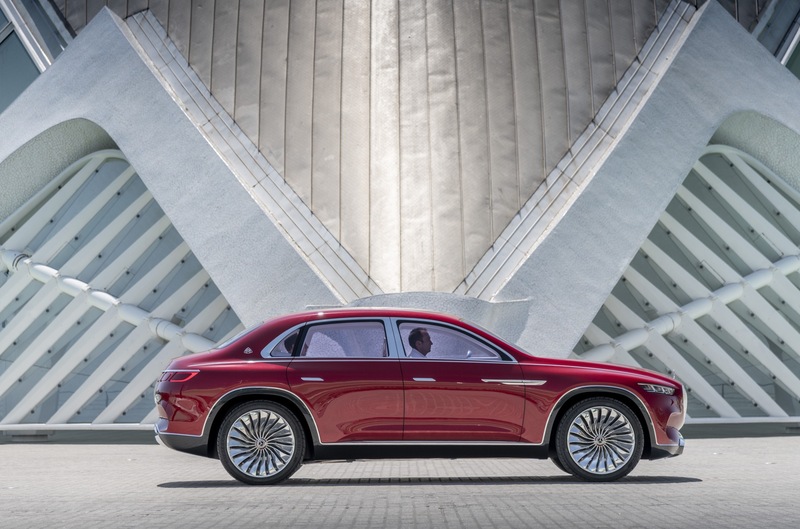 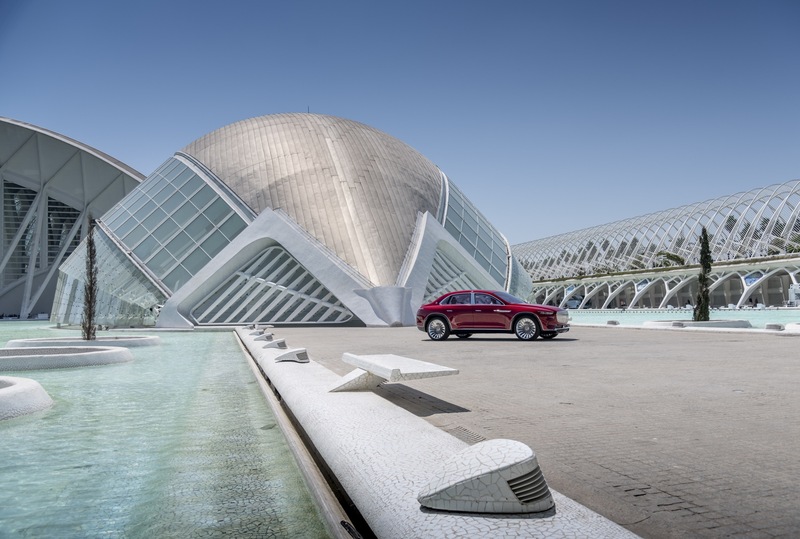 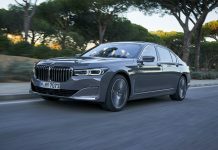 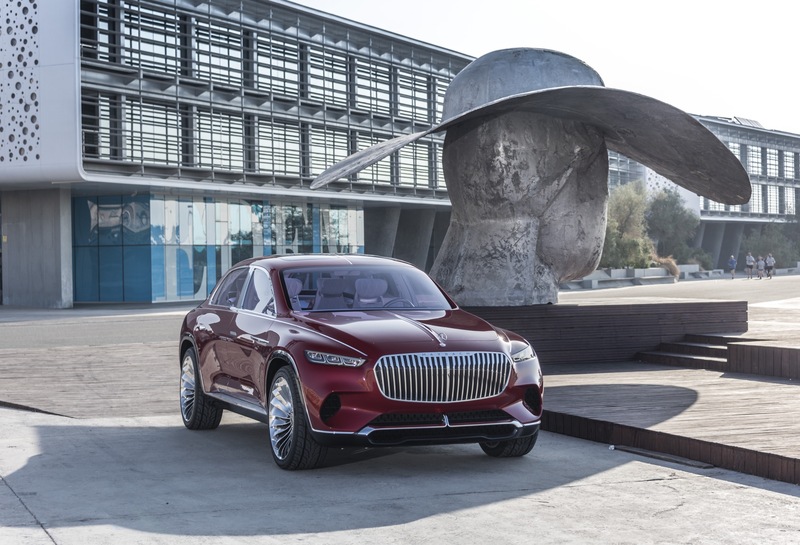 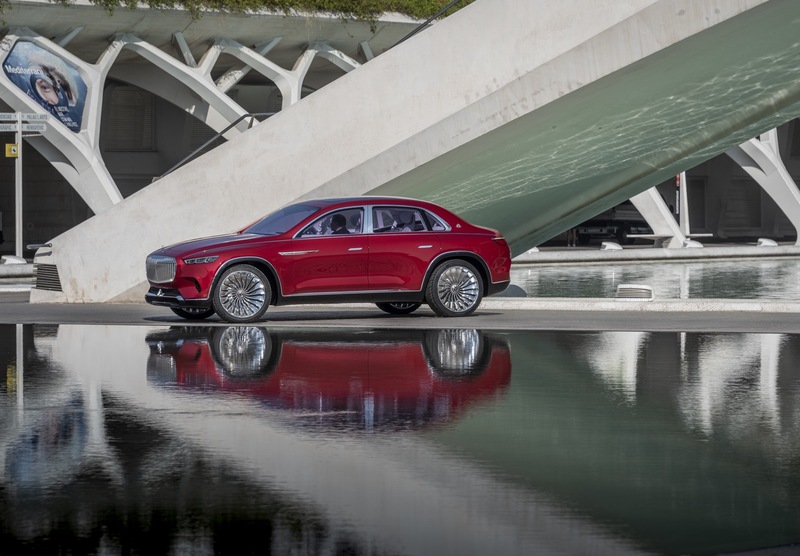 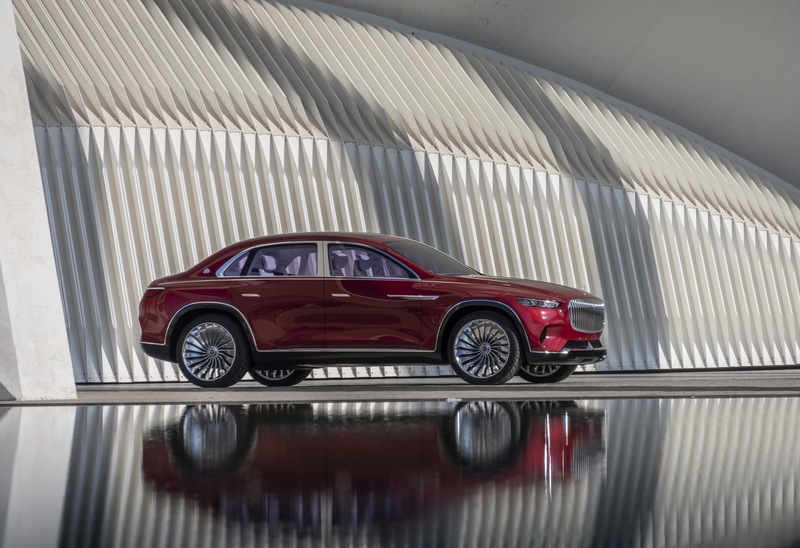 That has been the case when it was revealed as the Vision Mercedes-Maybach Ultimate Luxury at the Peking Autoshow this April and that is even more so, when Wageners dream car made a short reality check for an UK-exclusive drive somewhere in sunny Spain. 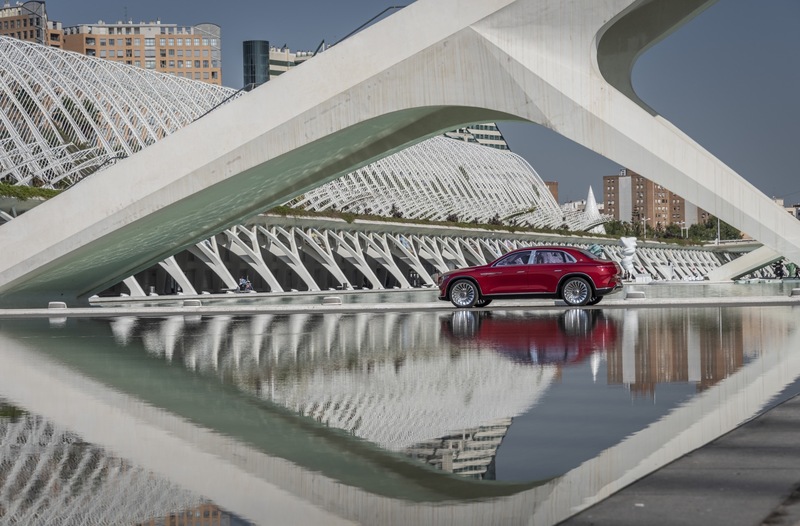 Driving this limousine on stilts is a rather special feeling. 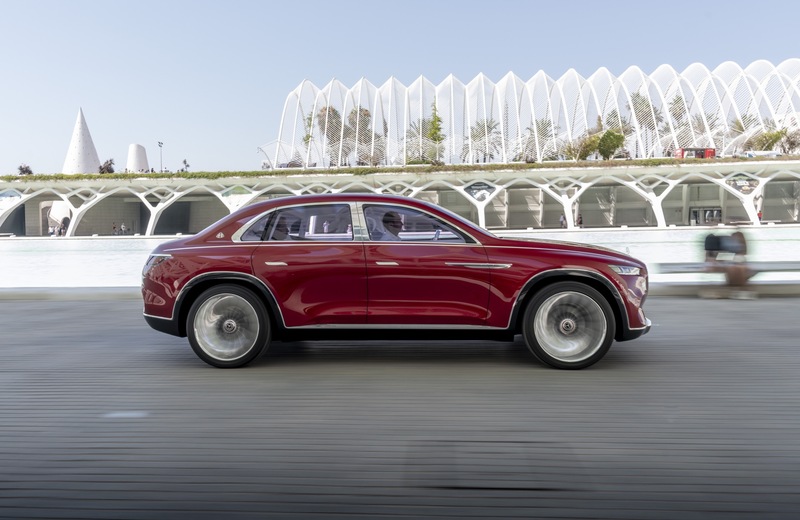 A, because your responsible for a one-off car, that has been hand crafted in three month and probably costed more then yearly salary of Dieter Zetsche. 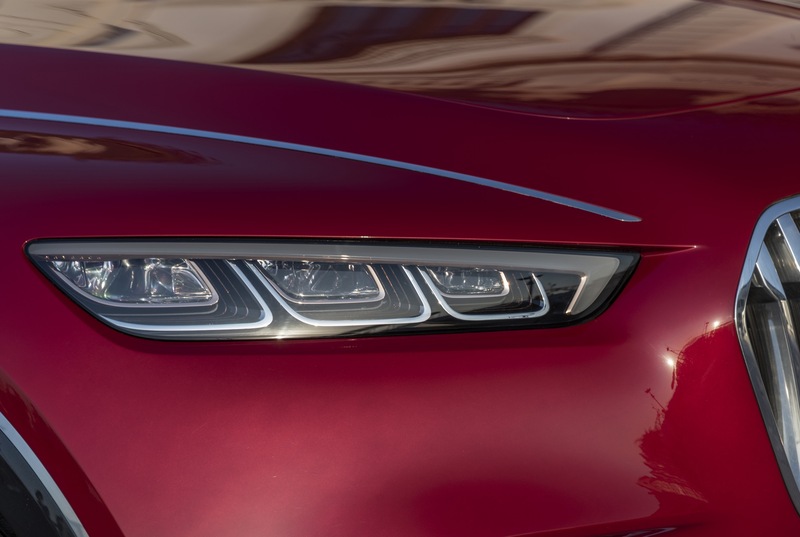 And b, because this giant of steel just crawls in not much more than walking speed and you better use jour finger- and toetips only to handle it, if you don’t want to get the angry look by the mechanics. 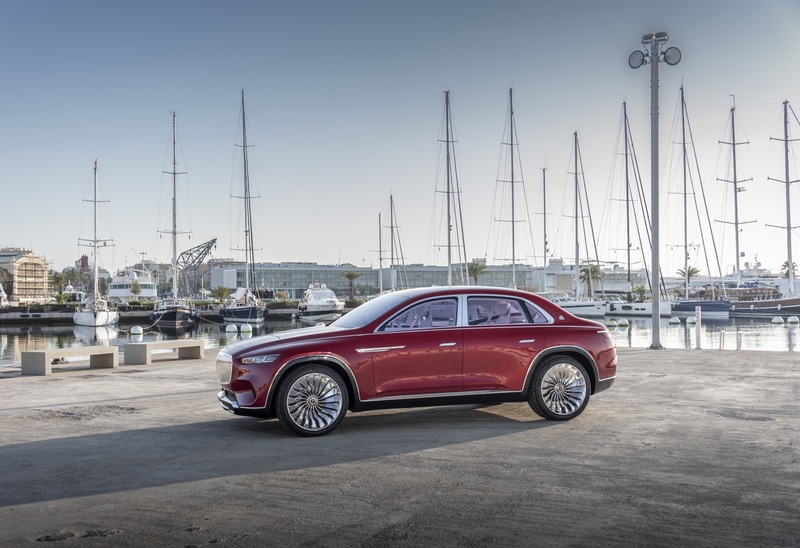 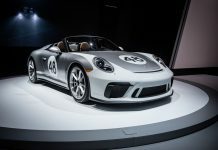 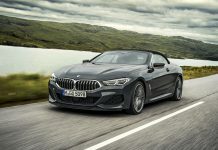 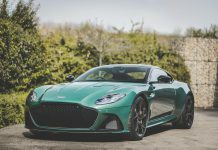 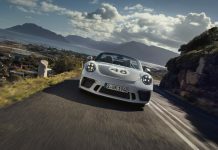 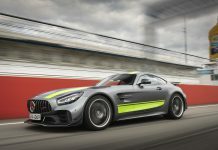 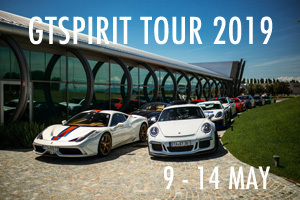 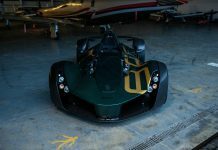 But at least in theory it has all the abilities to compete in the top luxury segment: 750 HP, 250 km/h top speed and since even the ultra-rich somehow discover sustainability the car would be powered by for electrical engines and an 80 kWh-battery for a range of about 500 Kilometers to overtake Cullinan & Co on the green lane. 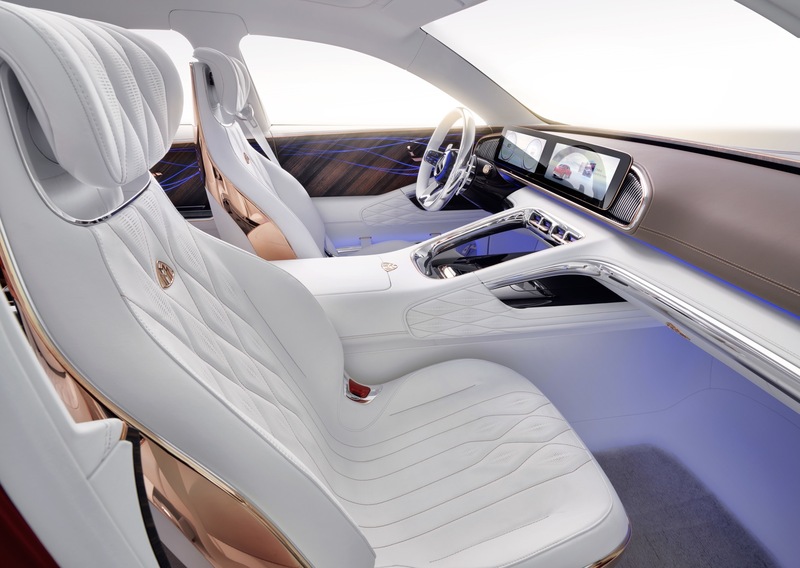 While the driver needs a bit of imagination to enjoys the full capabilities of the concept car, the passenger truly enters a new world by stepping up into a lounge of leather and luxury that has never been seen before. 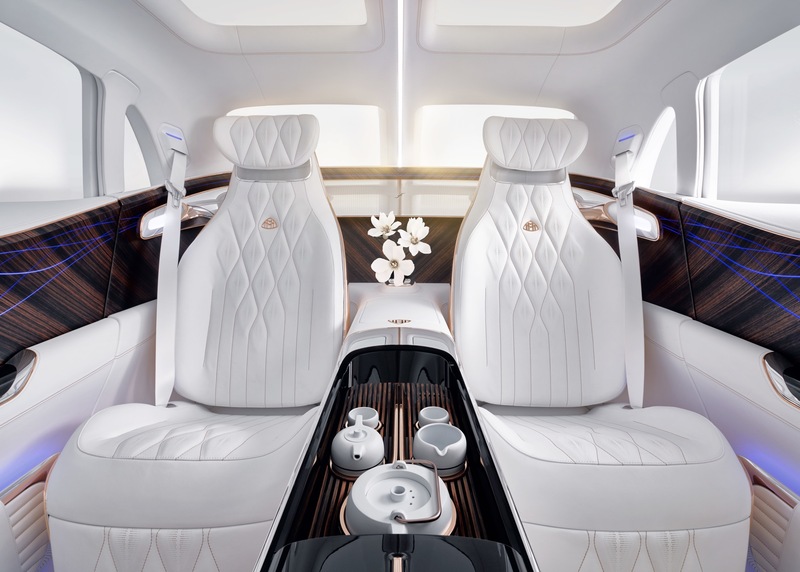 Not only the lounge chairs are unique. 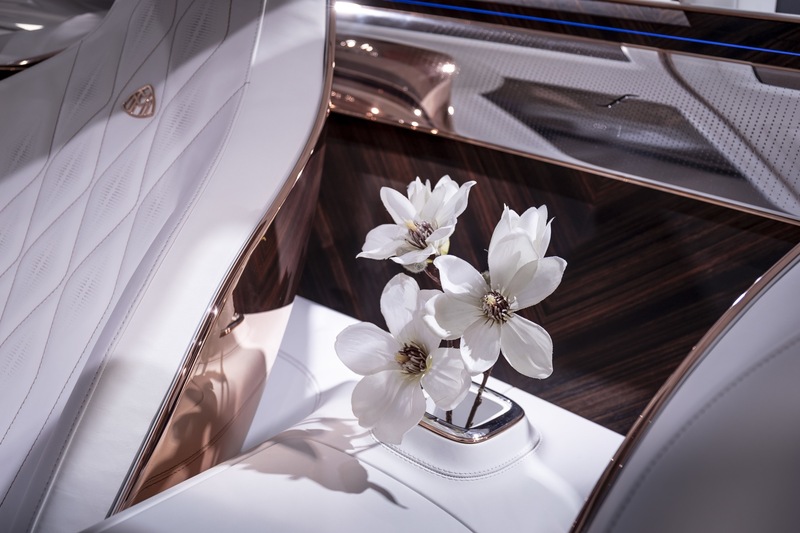 Especially the rose-gold covered consoles, that are inspired be pop artist Jeff Koons give the Maybach a very special twist. 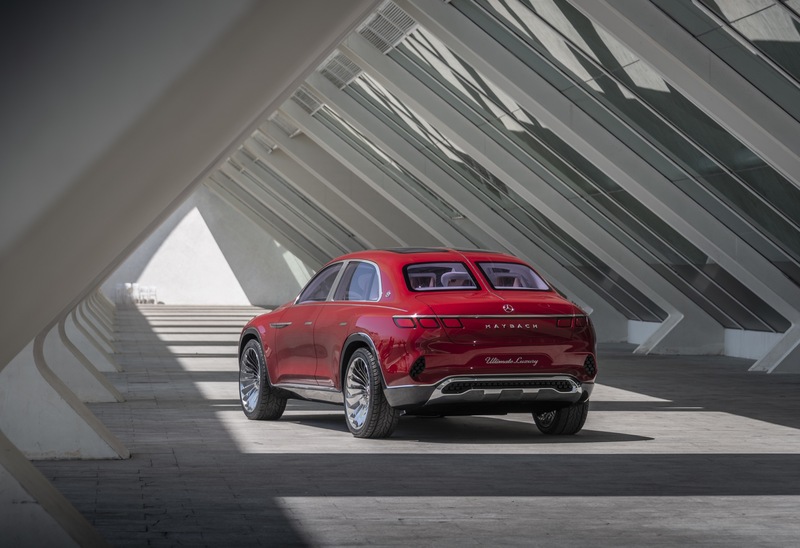 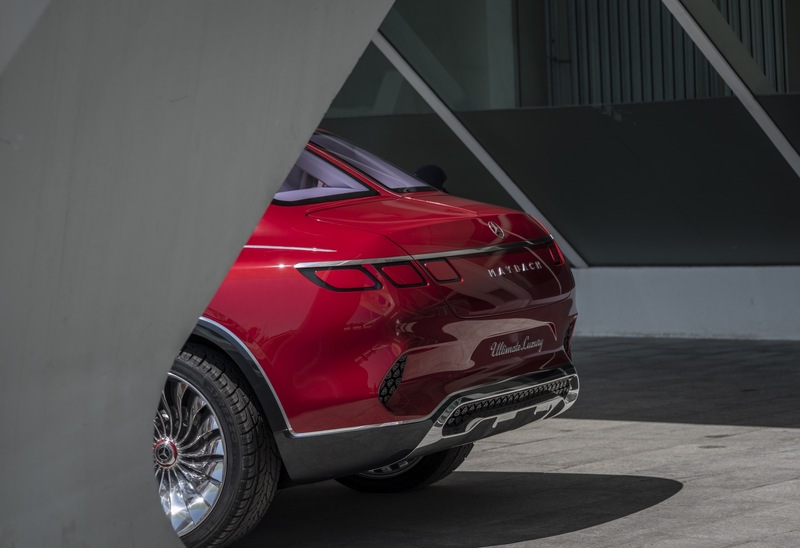 And since the original concept for the Ultimate-SUV comes from Maybachs strongest market China, the car is not only painted in the same red color as the national flag. 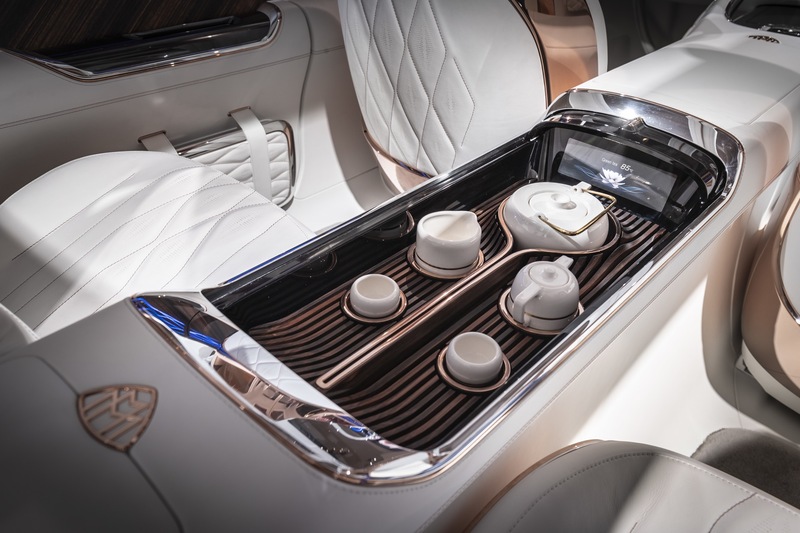 But there is also a tea-set awaiting in the center console instead the usual champagne and whisky-bottles for the western hemisphere. 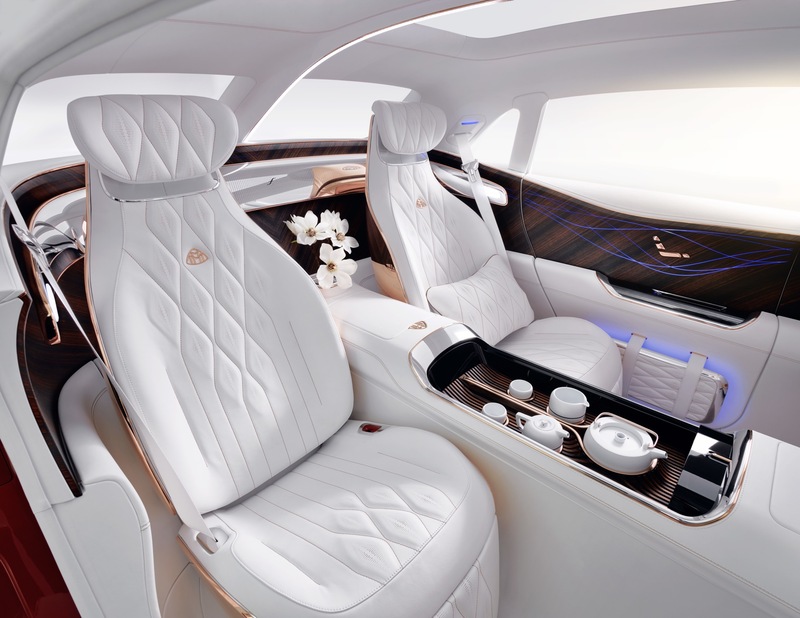 But even if the console holds an electronically controlled 85 degrees, the perfectly temperated tea will never be enjoyed and as hot as the concept might be the brew will be ice cold soon. 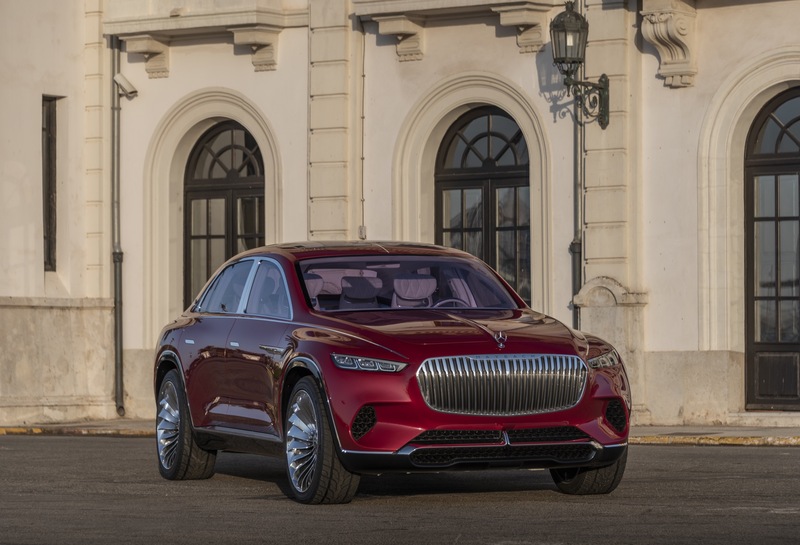 Because after the failed comeback with Maybach 57 und 62 at the beginning of the century nobody in Stuttgart is willing to pay for Wagener’s dream and to spend another few hundred millions on unique Maybach-model. 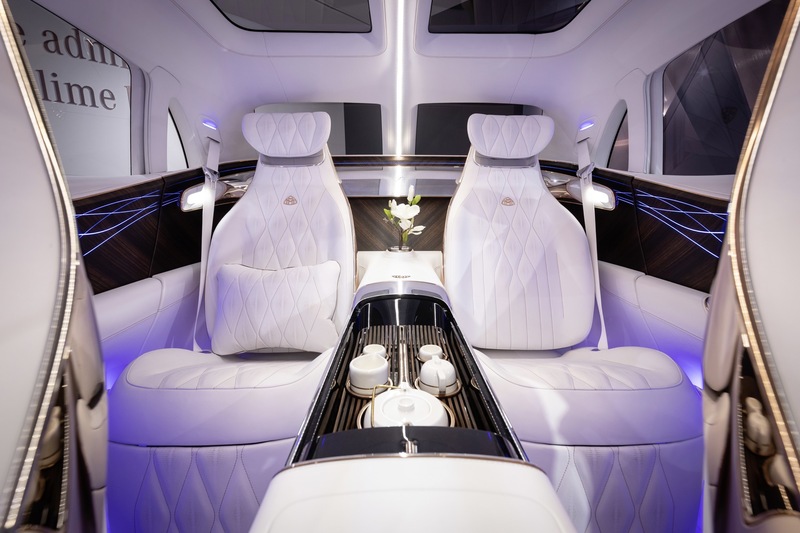 Especially not on one that is so divisive. 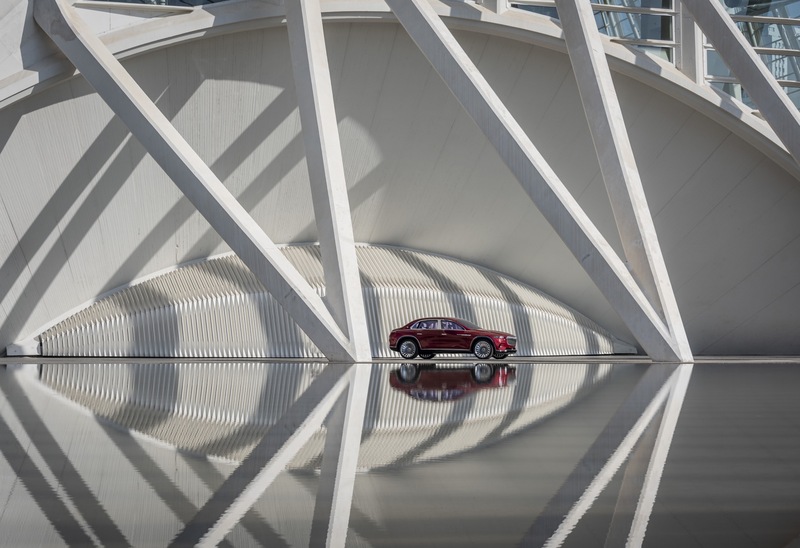 But nevertheless the showcar was not made for nothing. 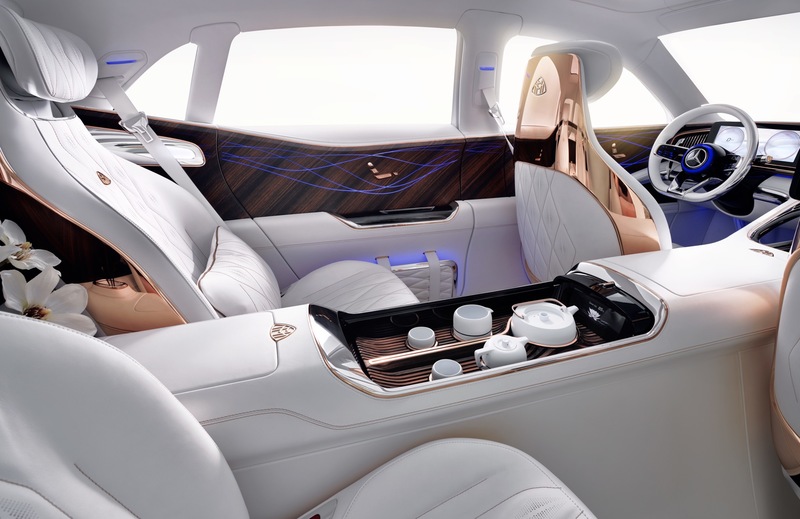 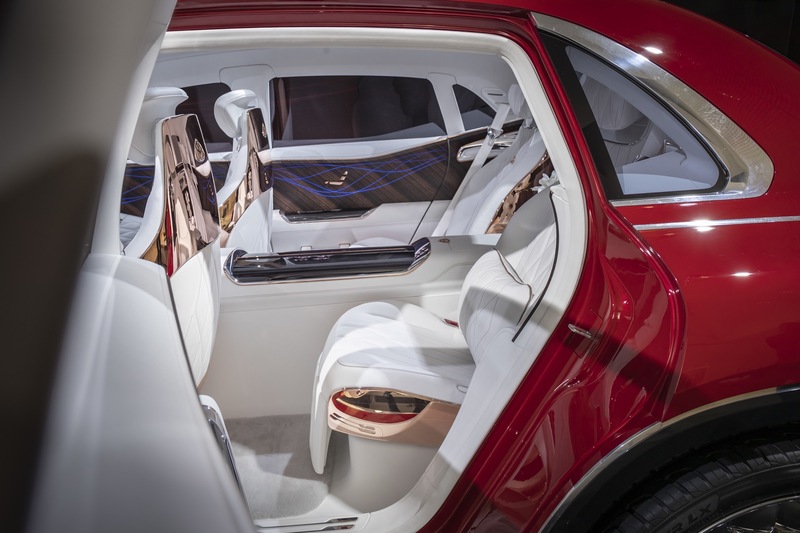 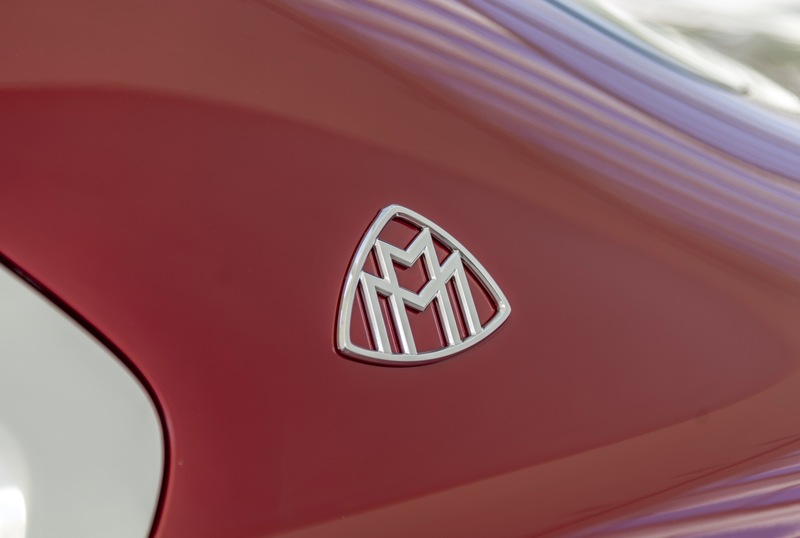 At least the interior gives a very clear hint towards the Maybach-GLS that’s due towards the end of next year. 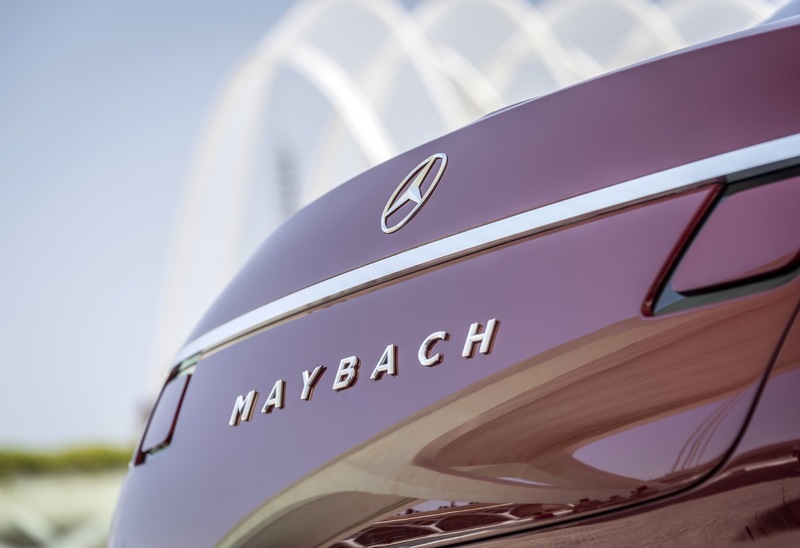 Maybach is late but could be great. 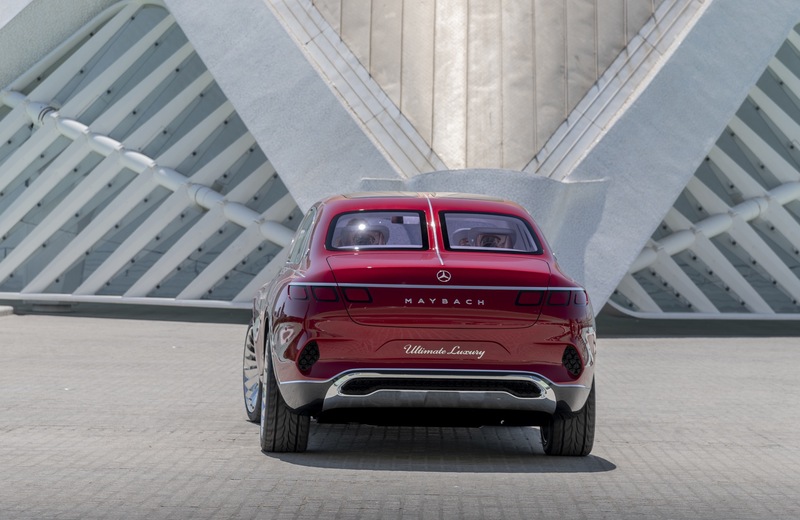 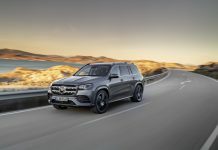 Because this ultimate SUV-Sedan would offer a totally new twist to the ever growing segment of top luxury SUV and would let look new cars like the rolls Royce Cullinan outdated from their start. 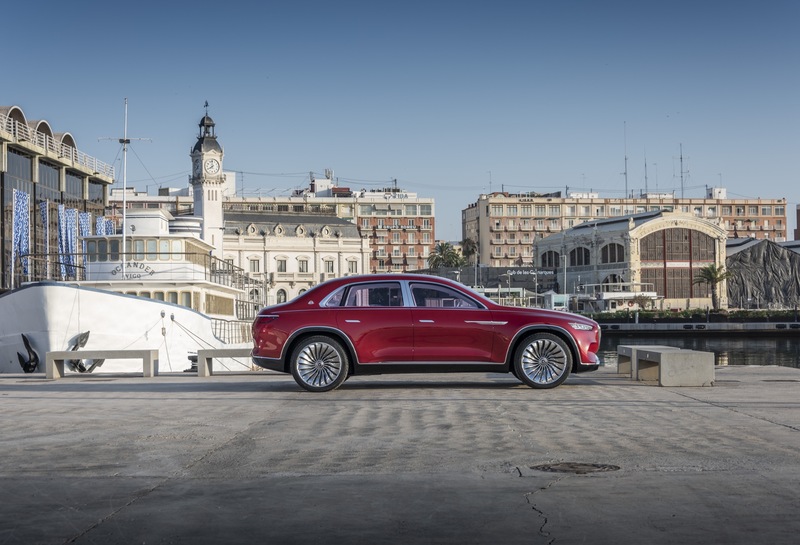 Could, would, should – that’s the problem of this wow-car. 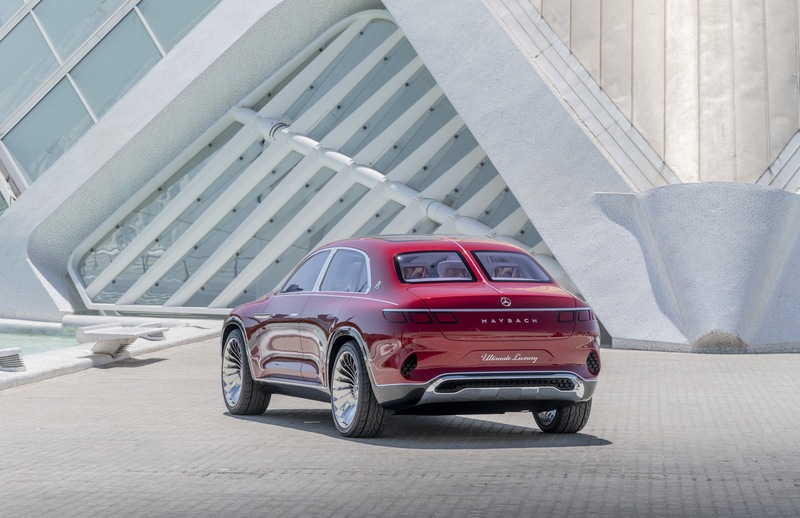 It’s another designers dream that will not come true anytime soon. 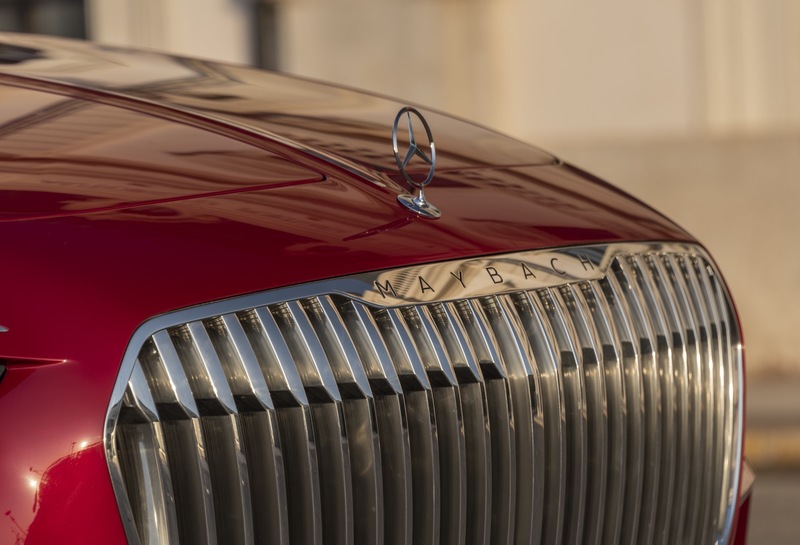 And as much attention it raises as dangerous it is for the brand. 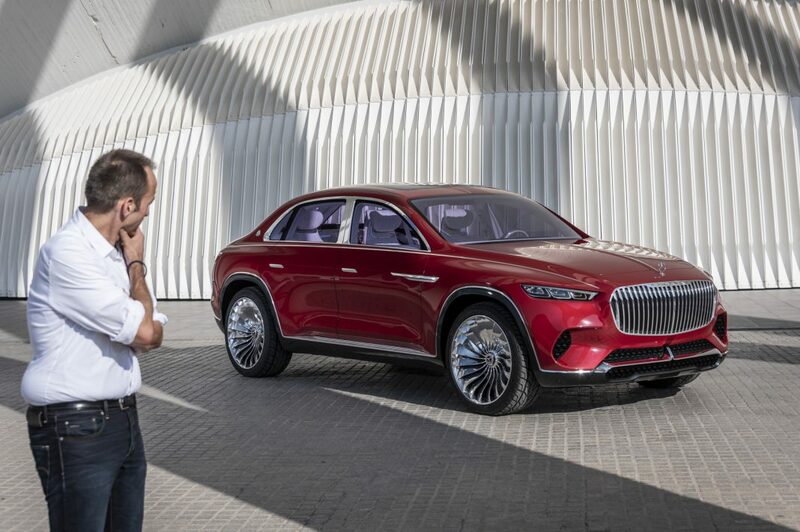 Because after the two amazing sports cars from Pebble Beach and that ultimate SUV Maybach has got to deliver more than another rebadged Mercedes if they don’t want to lose their credibility. 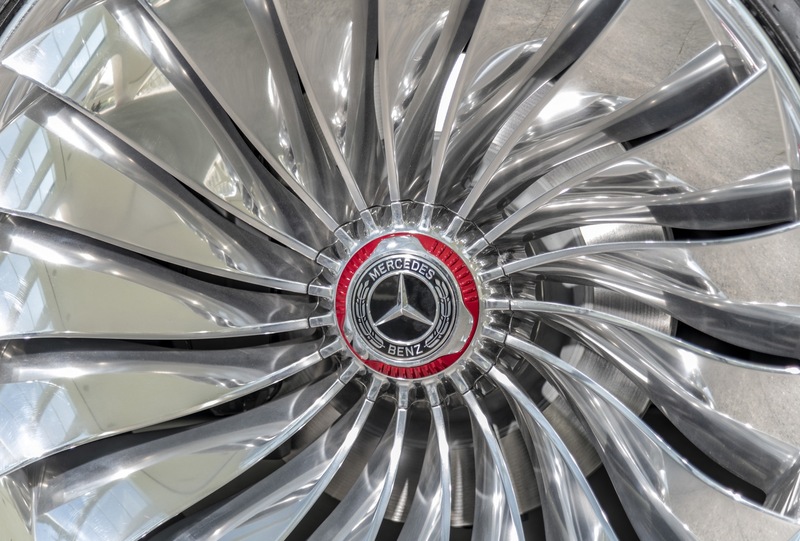 If you blow into a balloon for long enough it even has to fly or it will burst.